Every time I go to Larz Anderson Park, I fall in love with a new hidden little area of their gorgeous, expansive park. It truly is the perfect little place for photo shoots because no two sessions will ever be the same! This time when I met the S family at the park, I was determined not to replicate any photos or locations I had used previously with another recent family session. Looking at what we captured together with mom, dad, Mikey, and Anna, I'd say it was a success! I absolutely adore this photo of everyone cuddling together beneath a backlit tree. When we do family sessions, the children are the priority and we keep it playful, fun, and light. During our time together, Mikey and I talked about superheroes and ran through the trees where he found this perfect little spot for his family. Tickles, laughter, and natural smiles. What a fun session! During our ordering appointment, mom and dad both fell in love with this photo of their little loves on my vintage quilt! This is one of my favorite props, a flea market score at the Brimfield Antique Fair last summer. It comes with me to nearly every summertime session for that fun pop of color, cuddly, and vintage. This 16x20 canvas is now bringing smiles and cheer to the entryway of their home. Imagine down the stairs and seeing this every morning? That's sure to start your day off right! Another thing that I love about regular family sessions is capturing your children's milestones! 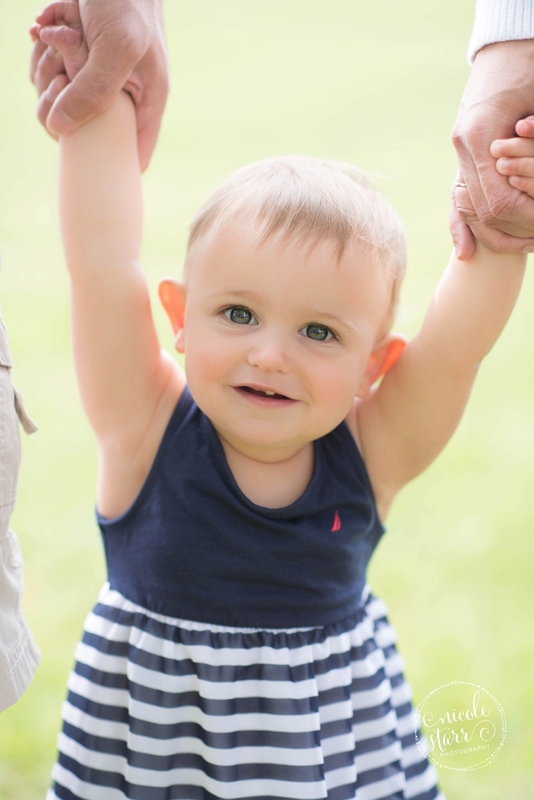 Anna is just learning to take her first (assisted) steps, and now her family will forever be able to remember that when she is running around at full-speed in just a few short months. Love their photos? Check out the rest of their session with Anna's beautiful cake smash photos here in this post!